Its not that I'm obsessed with toilets, but the variety of bathrooms in other countries never fails to surprise, and sometimes confound me. In Europe recently my greatest problem was not finding a toilet (as there are plenty in cafes), but trying to work out how to flush the toilet or wash my hands. Of course in China bathrooms are different. Very different. Most of them, even in the foyers of some hotels and at international airports, are squat toilets (ceramic holes in the floor). Very few are clean and hardly any provide toilet paper. Women with knee problems or arthritis simply don't stand a chance of using them successfully. But one of the strangest experiences with bathrooms is in Greece. 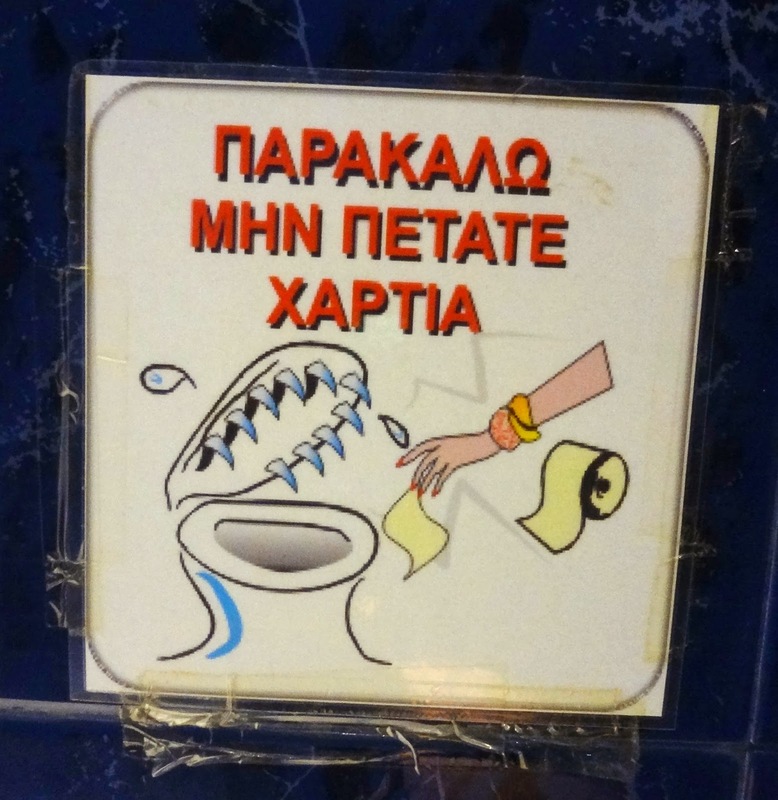 For the most part the toilets in Greece are fairly normal and reasonably clean. 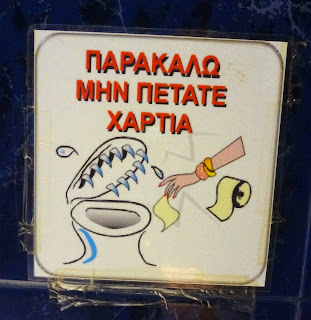 But because the Greeks have issues with their plumbing, they request that you don't discard toilet paper in the actual toilet, and they provide a bin just for this purpose. This is one of many signs I saw on the backs of toilet doors in Greece.